The old logo was bland and generic with a basic sans serif wordmark and one of those droplet squarcles (square + circle) that so many other logos use. The new logo, like its Kickstarter parent, is bold, chunky, and full of personality. I really like the change to lowercase in the logo, where the “d” and “p” work as great complementary book-ends and the “r” and “i”, despite being narrower forms, hold up really well against the two wide letters. The conceptual hook of the logo is in the flipped “i” that pays off on the name with the idea of having a constant drip where the tittle could be read as a coin. It’s cute, it works, and it looks great. (Est. 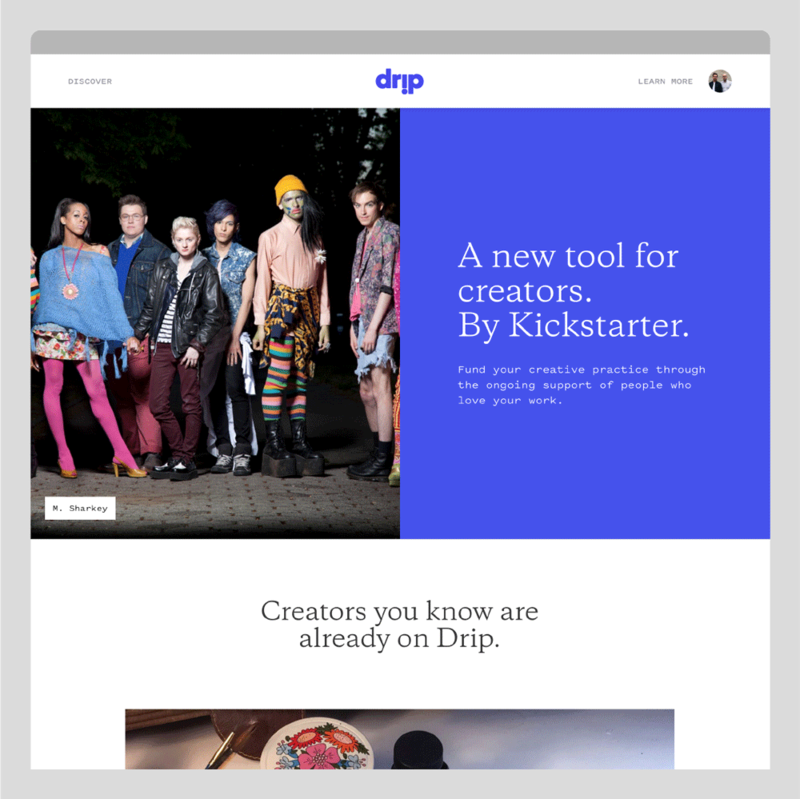 2012, acquired by Kickstarter in 2016) \"Drip is a tool for artists and creators to fund and build community around their creative practice. With Drip, people subscribe to support creators on an ongoing basis. In return, creators open the door to their creative practice -- by sharing their process, notes from the field, in-progress previews, and other rewards. It's a way for creators to build a community of dedicated and meaningful support around the work they make.\"